Communication Legal Translation Establishment is greatly jubilant in providing Linguistic services in France for precise, dependable and beautiful linguistic, Grammar, Style and Spelling checks of all types of humanitarian, personal, medical, official, industrial, academic, promotional financial and legal documents, statements, plans, reports, etc. in the Arabic and English Languages to our patrons of enormous status. 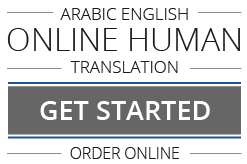 20 plus years of experience has qualified our well-informed specialists to bring to our English and Arabic linguistic services in Paris, Marseille, Lyon, Toulouse and Nice the high exactitude that we demonstrate.